DISCLAIMER: This is just a quick comparison of the various devices listed. You can find my in-depth review of the Fitbit Charge (HR) right HERE, my in-depth review of the Garmin Vivofit right HERE, and my in-depth review of the Garmin Vivosmart right HERE. Down the road I’ll have a proper in-depth review of the Vivofit 2. For now this is just a quick look at what I like about each one, and why I feel one might be better than the other. Enjoy! When compared to the Garmin lineup, one thing that makes the Fitbit Charge or Fitbit Charge HR better right off the bat is the quality of the app. Nobody does companion apps as good as Fitbit does, and their huge market share bolsters the quality. Automatic sync just works better, and Fitbit’s integration with MyFitnessPal is flawless. Fitbit has a cool web interface, though it isn’t particular rich in-depth and is more just a pretty picture of your stats. Garmin’s smart phone app isn’t bad, and it has some neat features for sure. But it doesn’t auto sync as reliably as the Fitbit. This matters more for the Vivosmart or Garmin vívofit 2 which have automatic sync, and less for the original Vivofit which you sync manually. However, the web interface on the Garmin, though not as nice a UX as Fitbit, does offer greater detail and depth for training. And since Garmin offers more devices than Fitbit, if you’re a semi-serious athlete you may find their integration of offerings from this brand gives you a better experience both only our phone and in the web portal. There is no clear-cut winner in this category. When it comes to comfort on your wrist, all of these devices are at the top of their pack. I’d give the Garmin devices a slight edge for what I liked personally, and they were easier to clasp on your wrist, except for the Fitbit Charge HR which goes on like a regular watch. Still, all of them are quite easy to wear all day long without any intrusion. Fitbit claims you’ll get the better part of a week with their two devices, though I found that not to be the case (3-4 days, max). On the other side the Garmin Vivosmart is similar though slightly better, with one week of battery life. And then you have the clear-cut winner in the Garmin Vivofit or Garmin vívofit 2 that lasts up to a full year. If you don’t like to charge things often, that is the way to go. All of the devices sync automatically except for the original Vivofit. When it comes to water (swimming) BOTH of the Garmin devices are fully proof and safe to swim with. However, neither of the Fitbit devices are capable of swimming, but instead are listed as water-resistant only (read: NOT waterproof). Displays on the Fitbit devices are a gorgeous, bright OLED display that is easy to see in any condition. This is the same on the Vivosmart, which is equally easy to read though many complain it is slightly hazy to view. The Vivofit devices have an LCD display, with the 2nd iteration finally adding the much needed backlight to the list of specs. When you look at the price it should come as no surprise that the original Garmin Vivofit is the one lacking smart notifications (since is being sold at a very affordable price). Upgrading to the vívofit 2 does add auto sync, a timer, and a backlight — but you still don’t get notifications. You’ll need to upgrade to the Garmin Vivosmart for that, which does a great job displaying phone call caller ID, text notifications and more. My first complaint is that battery life can be greatly diminished if you are the kind of person who gets a lot of alerts. Secondly, I don’t like the lack of adjustability in iOS that you get with these notifications, though I believe you get more control with an Android device. With the Fitbit Charge or Fitbit Charge HR you only get caller ID notifications and nothing more. This helps the battery life perhaps (Though as mentioned prior, the Fitbit suffered the worst of this group when it comes to battery life). Still for someone who is serious about fitness, you hopefully don’t also want a smart watch, because for these sub-$200 trinkets you’re not getting anything else. All of these devices offer sleep monitoring/tracking, step counting, activity (caloric) data, and so forth. Where they start to pull apart from each other is how they handle working out with a heart rate monitor. In the case of the Garmin devices, you are able to use any ANT+ heart rate monitor to link directly to your wrist tracker. This means all three of their devices mentioned here can link to your chest strap or arm-band so long as it supports ANT+ protocols. I’ve tested this with a few devices and it works great. I love how it can automatically start/end a workout once it syncs up, and the Vivosmart even supports cycle sensors too, in a limited capacity. In contrast, the Fitbit Charge has no offering when it comes to heart rate monitoring. If you want that feature you have to spend the extra $20 for the Fitbit Charge HR, but if you’re even thinking about going with the Fitbit then do yourself a favor and get the heart rate unit. The price is quite reasonable, and it offers the scalability you’ll want down the road. There is no better way to record exercise (cardio) than with a heart tracker, so it’s certainly worth the price of admission. With the Vivosmart you do get some unique features, such as a “find my phone” feature, VIRB controls, music controls, and the fact that it vibrates with alerts (the Fitbit devices offer this but the Vivofit devices do not). But the Vivosmart demands a price that for some won’t be worthy just for these few unique features– that will be very dependent on your needs, desires, or how much you really prefer Garmin over Fitbit for example. If you are looking for the best activity tracker on the market today for under $200, any of these options are worth considering. If you don’t need a display, then the Misfit Shine or the Fitbit Flex might be worth considering. But for this comparison we’re checking out devices who have a proper display on them. 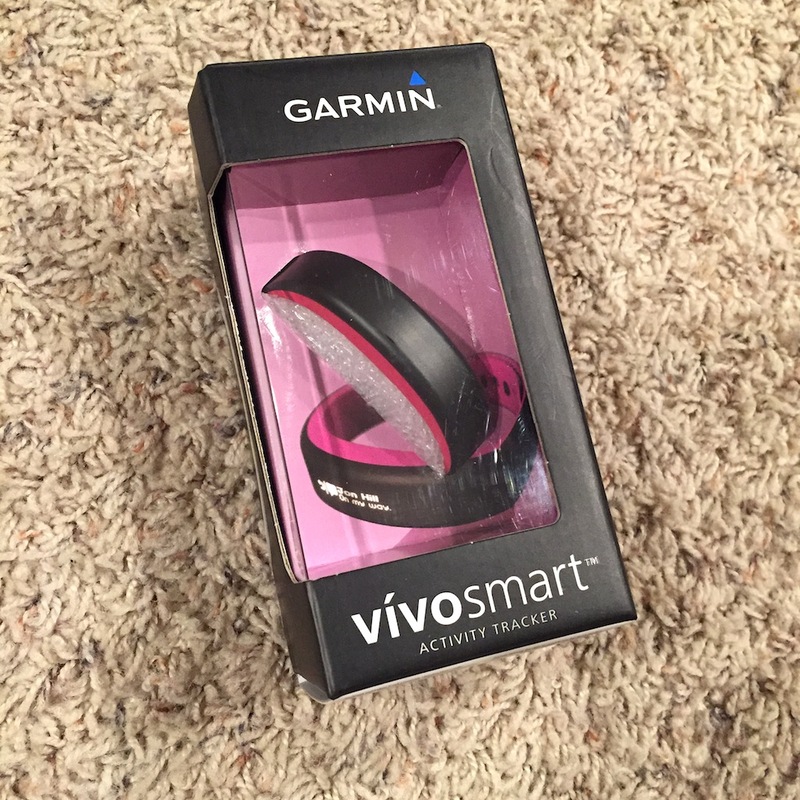 Lowest cost then is the Garmin Vivofit classic, which is a great way to jump in without breaking the bank. Stepping up from there the Garmin Vívofit 2 is the same price as the Fitbit Charge, offers better battery life, but lacks caller ID notifications. Still when comparing those two at the same price the Garmin makes more sense to me based on battery life alone. The only reason to get the Charge would be if you’re already in the Fitbit eco system. But if you want heart rate monitoring for cardio workouts, the tough decision between the Fitbit Charge HR versus just buying a Garmin vívofit 2 Bundle with Heart Rate Monitor becomes a tough call. That may just come down to pricing, your desire to charge more or less often, and if you like one brand over the other. Each option is great, with the Fitbit offering less battery life, caller ID notifications, and a single device that does it all without a need for a chest strap. At the high-end you have the Garmin Vivosmart which offers more notifications, but still requires an add-on for heart rate monitoring. It was for a long time my top pick for devices, and it still offers great battery life and a nice feature set. But with all these new devices coming out each week it is hard to really view the Vivosmart as the top dog anymore. Only for those who really need the Garmin ecosystem (because they have a cycling computer or such), that is where the Garmin Vivosmart might make sense. Out of this whole bunch my favorite is probably the Fitbit Charge HR for its all-in-one capabilities. But the Garmin vívofit 2 Bundle (or just a plain vívofit 2) is a darn close second! Thanks for this review! Exactly what I needed to hear! I can’t see myself wearing the HR chest strap every day so the fitbit chargeHR it is for me! Thanks for the review. It was very helpful. For me the criteria are waterproof, long battery life, and accuracy of steps are key. So I would choose ViviFit2 this round. Until Polar Loop comes around more aggressively…. One important thing to note for those looking for heart rate monitoring capability is those that have HR built in are nowhere near as accurate or functional as chest strap types. I would disagree. DCR’s site shows the accuracy on many are actually quite good. Just depends on the activity, the persons skin color/readability and so forth. And as for function I would argue having the ability to not require an additional strap actually makes wrist based devices better, not worse. That being said I personally trust the chest strap overall the most, for the most broad spectrum of events. That is my point: chest strap HR monitors are much more accurate and reliable, to which it seems you would agree. Optical sensors (wrist mounted) do depend on the activity, in that they don’t work reliably unless you’re at rest, which defeats the purpose of using HR monitoring for training. So I would argue having a capability is not worth it if it doesn’t serve its purpose. Good points. For many people they just don’t want a chest strap or second item. I guess having a wrist strap is better than nothing. But for serious workouts I agree, get the chest strap. For general consumers, wrist devices are often sufficient though. I have the Garmin Vivofit 2. It’s comfortable to wear, the waterproofing is a big plus and I enjoy changing out band colors. What I don’t like is their software. I enter the weekly step challenges and at least once per week (sometimes twice) my Garmin won’t sync and I lose my hard earned steps for the day. This has been so frustrating I’m about ready to toss this in a drawer and move on to something else. On a scale of 1 to 10 with the bad software I would give the Vivofit 2 a six. Kelly, how do you sync? I haven’t tested the V2 lately, but I’m curious if your issues stem from syncing with an iPhone vs Android vs computer. Others who read this blog may also benefit from knowing this info. Thanks, and sorry about your issues. Fitbit eat into Garmin’s market by making a watch. Garmin eat into Fitbit’s market by making a band. It’s easier to move from higher tech to high tech. It is more difficult to move from high tech to higher tech. Garmin’s high end GPS watch are demanding $700 and up from customer. Fitbit’s surge only at $250. Fitbit’s strategy is to make whole bunch of different cheap models. Now Microsoft, Intel and other big company all focus to get Fibit’s market. The world war of wearable technology is about to begin! I think which ever company can use the band to unify banking industry, medical industry will be the ultimate winner in the years to come. Use your band to pay for your coffee, grocery..etc. Doctors tracking their patients with band’s data. Virtual coins store in the smart bands…etc. We live at a very exciting time of the history. Things will only get better and faster. Thank you! Exactly the comparison I needed between the four. You’re welcome !! Which one did you decide to order/buy? 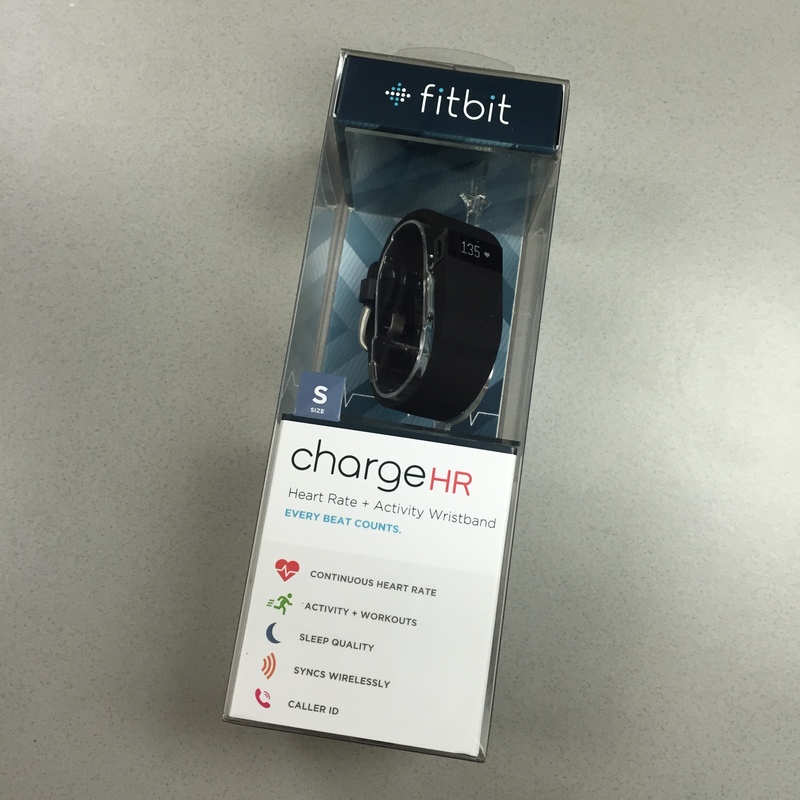 Sadly, fitbit HR really jumped the shark. The heart rate monitor is only on demand, there is no constant mode to view it. You wind up tapping the damned thing all the time to view heart rate.